Ok, so I just found this section (still learning the site) and wanted to update the build tread for future reference/ anyone who cared. Prepare for pictures! April 22nd 2018, The day I brought it home... If only I know what I was getting myself into . Over all I was happy with my purchase. Took me 3 years to find one I was happy with purchasing. The interior caught my eye cause it is in beautiful shape and I love the tan leather. The exterior overall is not bad, couple door dings here and there but eventually I plan on getting it completely repainted to OEM Barcelona Red Pearl so they can be fixed then. Mechanically, the car needed an owner who would take their time and do things right. The biggest thing is the fact that it needs a turbo, as the OEM T25 is burning oil and couldn't hold boost to save its life. 144190 miles on the body, 111,000 (supposedly) on the engine. Time to get to work.. So far all I know about the car is that it has NGK spark plugs and wires, Kenwood headunit, KYB Struts and Springs, VR Speed front mount intercooler, tinted windows, Greddy blow off valve, 4” Megan Racing Exhaust, Stainless Steel o2 Housing, Short throw shifter (unknown brand) Top and bottom rear strut brace (DNA Motoring), and an SRS light on. First impressions are that this car was "built" cheaply and I wanted to fix and maintain before I throw too much into modifying it. First thing I bought for the car is a new oil dipstick, since the old one was broken, and LEDs for the interior lights. That is when I found the short in the rear view mirror.. kept blowing the fuse and had to remove the lights in the mirror. Still hunting this gremlin down but I think the issue is in the mirror so I took it apart. Found the Copper tabs to be very loose and corroded, still working on this project.. Haven't been able to figure it out yet. In case anyone is wondering what the inside of a 2G rear view mirror looks like. Up next was removing all of the night shade on the lights. Tails, side markers, everything! I hate this stuff.. did a reverse light lense and headlight restoration as well, they turned out great for being 20 years old! Gave the car a good, thorough deep cleaning and painted the wiper arms satin black to match the trim around the doors, didn't take any pictures sadly. I did however install a bumper guard since the tip of the exhaust sits pretty close to the bumper. It fit well! Replaced the passenger front wheel bearing, installed brake pads and rotors all the way around, and got 4 Toyo tires to replace the old bald tires on the car. The brakes were more of a peace of mind install than anything, I like to know those are done correctly. I also eliminated the exhaust rattle by using some heat wrap, no issues since! Replaced the worn OEM shift boot and gear knob with a brand spanking new OEM set, I love the factory interior of this car so OEM was the way for me to go. I ended up getting the smaller shift knob because I felt the original one was slightly too big for my liking. Note the boost gauge as well, it worked fine but I hated the bezel around it and it was pretty scratched so I upgraded to AEM, love it! Now to take care of the rear hatch, no carpet and missing something crucial.. So I ordered a brand new carpet that fit great and a little powered sub to give the music some depth and a little thump. The Rockford Fosgate powered 12" hits harder then I expected it to. The previous owner decided to paint the Mitsubishi logo terribly in the indent of the front bumper so I covered it up with a faux carbon fiber emblem. Not too cheesy and it looks WAY better. Also installed carbon fiber fog light deletes since the intercooler took those away from the car. I now have a running theme of carbon fiber accent pieces here and there and have plans for a couple more spots as well, but that is down the road. At this point I have been driving the car and loving every minute of it. Took it to some meets for the local car club I help run and just enjoyed it. (Some of these are out of order) The windshield banner is actually designed by me, its the local car clubs name and some artwork, very subtle but that's kind of who I am. And one of the most controversial things I have done to the car to date... Underglow, people either love it or hate it. I love it and have had the kit since highschool (go figure ) so it didn't cost me anything to do and it has a lot of cool features and colors. At this point the car is broken and not drivable, probably the DSM gods punishing me for the underglow but the pressure plate broke. I haven't had time to fix it yet so it has been sitting for a month or so. I went ahead and replaced the valve cover gasket while the car was down because I knew it was toast and painted the valve cover while I was at it. Still so much to do under the hood.. but one step at at time. It is now some point in November, the car has been down for 2 months and I received the best wedding present a guy could ask for, it was completely unexpected. I wanted a Garrett Big T28 before I even owned the car but realized at this point in my life I couldn't afford it. Still can't believe I have it, now I just need the Iowa weather to warm up enough to get in on and the trans out! As far as I know the build is now caught up. I'm sure I missed a couple things here and there but If I remember them I'll update this build. If you made it this far I hope it was worth the read! This actually just came in the mail today and I remembered it! A new cruise control switch panel in great shape and all the buttons are solid. From what I have read I guess the cruise button tends to get loose and mine has been since I bought it. I don't really use cruise control all that much but the fact that the button was loose really bugged me. Easy as pie install too, it is nice when stuff goes exactly how you think it should. Looking good! Like your attention to details. nice build! I like the carbon fiber fog panels, where'd you pick them up? Thanks! I'm trying to be meticulous with it, I love these cars. 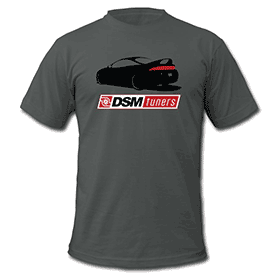 Some people dream of Ferraris and I dream of DSMs so I want to build this right. A lot to learn but I'm excited to learn it! Thank You! Here's the link, I just messaged them saying I wanted them closed off and I had them in my hands within the next 2 weeks! Nice to see another dsmer from iowa I'm in northwest iowa just outside of Sioux city. Not too far away at all! There's more members in Iowa than I thought there would be honestly, pretty cool to see! 1: Purchase a new coolant tank and mount it permanently. 2: Investigate why the gas pedal sticks when the car is first started. 3: Have the old, bubbly tint replaced. 4: Rear view mirror short. 5: Replace BOV with one that recirculates, I'm pretty sure the one that came with the car doesn't even work considering the amount of turbo flutter that you can hear. 6: Clean up the rats nest of headunit wires, thinking I'll go ahead and upgrade the older headunit while I'm at it. 7: Look for some OEM tan plastic pieces that go above the rear struts to finish up the rear end. 8: Front bumper supports from Boosted Performance. 11: Power antenna doesn't function (see #26). 12: Hand brake light doesn't turn on. Items that I would like to add to the car but are not on my immediate to do list. Note these are not in any order. 14: 18" Dai Alloy Autobahn wheels. 18: Show and Go license plate frame since Iowa requires a front plate. 19: New front bumper, I want to trim the black piece on top of the opening and round it off with fiberglass so that it flows with the rest of the car. 21: Complete OEM Barcelona Red Pearl respray. 24: CF front lip maybe, still on the fence about this one. 25: Get the headliner redone to OEM spec. 27: Aftermarket seats, thinking JEGS GS-1 if they fit. I'm sure there are a few other things that I am forgetting but this is what I remembered off of the top of my head. they shouldnt be an issue just have to buy seat brackets for the 2g or fab something up to bolt the seat to and bolt to the floor. Freshened up my Injen intake, started polishing it but wasn't happy with where it was going. I ended up color matching it with my valve cover. I didn't get a picture of the final product all reassembled but the silver where I taped off is all covered by couplers/connections. Pics are before and after. I had my GSX at ISU for a couple years! Love your attention to detail with replacing the worn cosmetic items. As far as uploading your pics, on Flickr, just press the "share" arrow at the bottom right hand of the pics, then copy the BBC code and paste it in the text box. Looks much better than pic links. Yes, my buddy Kevin has told me about your car, (I doubt there was many white GSXs on campus so it has to be you ). I tried the share button and copying the link, it worked great on my previous posts but for some reason it just insterted a box with an question mark in it this time, not sure what I’m doing wrong honestly. Thanks for the compliment, I’m really trying to build this car right! So far it’s been so much fun but still such a long way to go! Good job, I love your colour, run fine with t28? Thanks, by far my favorite color these cars came in. As for the turbo, been too cold it install it, especially since I do not have a garage yet. It sure does look pretty though . This week was oddly warm for December so I worked on the car. Got all of the bolts off of the exhaust manifold/down pipe and removed all of the lines from the turbo. Well, all but the oil feed and drain lines. The oil feed is rusty and rounded, and I lost that battle. I think I am going to cut the line and run a new one. OEM isn’t expensive nor is a braided line, not sure which I’m lgo with first. I haven’t bothered attempting the oil return line yet, I want to drain the oil first. It’s due for a change anyways. Oh and the biggest thing I have learned from this project is holy sh** I need to clean the block.. it is stupid dirty! I am not sure how I didn’t notice it before but I hope it’s not hiding any surprises for me behind the gunk. Got some Christmas goodies! Cant wait to get these on the car, need to get the remaining few pieces for the turbo lined up too. It might have been 22 degrees and 3 inches of snow on the ground but I got a lot done after classes today. I finished up the intake mount that I threw together with some sheet metal, it is plenty strong and lifts the intake off the engine bay quite nicely. It isn't perfect but for being made with a dremel, some hammers, and vise grips it is good enough for me (for now). I color matched it try and hide it in the engine bay. Installed the Show-N-Go license plate frame before it snowed, it was an easy install with a couple of bolts into the front of the bumper. I decided to go with centered instead of off to the side like I was originally planning on doing. The mounting location was easier if I centered it. As for the new turbo, the new oil feed line came in the mail. I am waiting for the snow to melt so I can get the car in the air and inspect the lower oil line and drain the old oil out of the car. My fiancee got me these for Christmas, they are coasters for your drink so when you place your drink down they turn on. If you place them in your cars cup holder it senses the vibration from the music and turn on too, I think they are super neat! The Boosted Performance front bumper supports went on in less than 30 minutes, and was well worth the money. I think that the ends closest to the doors still need a little more support but overall it is way better. Welcome and congrats on the car. Keep up the great work you are doing I love this color. Also would like to say I just got my set of bumper supports from boosted fabrication as well. Great product. Look forward to seeing the continued progress. Do you have a link for those brackets? No results are showing on their website under the Mitsubishi tab. Eclipse 1998 and teamevolution2 like this. I actually purchased them through their facebook page, $85 shipped I believe but that shouldn't change based on where they are purchased.